How to use a generator? Well, there are a lot of facets to this question, which is why we felt the need to write this comprehensive guide to help you understand generators. We feel it’s important to be armed with knowledge before deciding on which generator to invest your money in. Ultimately, we’re here to educate our readers so they can make the best buying decision for their particular needs. We how you find this generator guide helpful. How to use a generator? How does a transfer switch work for a generator? How do you use a generator without a transfer switch? How do you do generator maintenance? How do you store a generator? How do you start a generator? What do I do if the generator won’t start? What does “grounding a generator” mean? Can you plug a generator into a dryer outlet? Should a portable generator get wet? Can I move the generator into the garage when it’s snowing? For most buyers, the first requirement is to provide a backup for when the utility power fails at home. Keeping the lights on and the refrigerators running, already sounds great. If it is possible to do more, even power the entire house, that’s even better. On the other hand, if the generator we choose can be moved around, we can use it to do more than power the house. 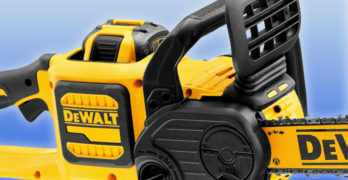 We can use it to power tools when constructing the new barn or mend the fence. 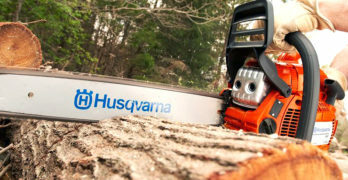 It can power an electric log splitter, we can use it to power the RV and camp in luxury. There’s so much more that we can use a generator for. Portable generators are popular because of the above reasons but, can we use a portable generator to power everything in the house? Can it provide electricity to the business, school, and church gatherings? The simple answer is no; a single portable generator that can power everything is not possible. Generators become heavier when their power output is increased. The small, low output generators can be carried around. The bigger ones are pushed around. At some point, the generator is too heavy to be moved around effortlessly. It’s at this point, where you have to compromise. When using a generator to power a typical American home you need about 40,000 Watts. If your principal consideration is to energize the entire house, any portable generator will be too weak. You get mobile generators in all sizes from 700 Watts up to about 18,000 Watts. Mobile generators are more flexible and cheaper, but the standby generators can handle the demands of the whole home. The cost of powering the entire house can be prohibitive so you may have to cut back and make some compromises. If you’re the kind of family that’s wholly domesticated and your only consideration is to power the house, a standby unit is what you need. Standby generators can power the whole home, and it will start up and run automatically during a power outage. You will pay more for it, and it’s a permanent installation, but it does have its advantages. Automatic operation is the most significant advantage, the generator starts up and switches over the load from utility power to the generator automatically. It runs until the power returns, and then it automatically reverts to utility power before it shuts down. A standby generator is installed away from the house and is weatherproofed, so there is no need to store it. Another advantage is that the installation is soundproofed. You will hardly hear it in the house. All the wiring and cables are permanently installed and neatly tucked away. There is no need to run cords during a power outage. If a piped gas line is available, the standby generator can be connected to this, and it can run unattended for as long as is needed. Where street gas is not available, propane is another consideration because an installation with multiple tanks can deliver long runtimes. The advantage is that a standby unit requires little involvement from you. Finally, a standby generator adds value to your home. A standby generator is more expensive than a freestanding (portable) generator due to the installation costs. The additional costs of providing natural gas or a propane tank also affect the final price. You’ll need a professional to do the installation because it’s wired into the home’s electrical system. During its lifetime, the generator will need a professional to carry out maintenance and safety inspections. It becomes part of the home and cannot be moved around or used for something else. Choosing between a standby unit and a portable generator that can power most of the house is a clear choice for me. I prefer the portable unit because it can supply power anywhere you need it, and that adds to its value. The added flexibility of a portable generator makes it easier to justify the cost of buying it. This is especially true when you take into account that you don’t use a generator to back up your home too often. It’s also a lot cheaper than the permanent installation. Before we consider the compromises, we may have to make, let’s look at the advantages of a portable generator. Portable generators are less expensive and even with a transfer switch to connect it to a house, the savings are substantial. These generators can power most of the necessary appliances in the home. As the name suggests, its portability means it can be used anywhere, adding to its versatility. If used in conjunction with a transfer switch, the manual changeover from utility to generator power is quick and easy. Most portable generators use gasoline, and this means storing gas for an emergency. Gas storage poses some problems that we will discuss later (Storing a generator). A gas tank limits the time that the generator can run unattended, it has to be refueled periodically. You cannot do this while the generator is running, you have to wait for the engine to stop and cool down before topping up the fuel. So each time you refuel the generator, there’s a period that the generator has to cool down first. A portable generator needs storage space and must be moved outside for use, which involves some muscle power. The house needs a transfer switch for safe changeovers, and the installation must be approved by a certified electrician. A cord is used to connect the generator to the home, and the transfer switch is used to transfer the power. Lower down, we offer elegant solutions for all the possible disadvantages of portable generators. How to use a generator is what we’re focusing on, and because the standby generator is automatic, we do not really discuss it in full. To read all about the standby units, you can follow this link: The Complete Home Generator Buying Guide. What a generator is used for? The portable generator is a valuable addition to your emergency planning, and it offers the additional advantage that it can do a lot more. You can use it on camping trips, for tailgating and to provide power on a construction site. In fact, it can be used anywhere power is needed. Portable generators are compact and neatly packaged units that fit into your vehicle and can be carried around. Some of the smaller machines are neatly wrapped in sturdy plastic covers that hide the mechanical parts and also, it makes the generator a lot quieter. This is most common for inverter generators, which are quiet, and have the cleanest sine wave signal of all. It has the advantage of being compatible with electronic devices like computers and cell phones. Inverter generators are all neatly enclosed in durable plastic and can have a peak output of around 8000 Watt. The plastic enclosures and lower engine speeds are what makes these machines a lot quieter. Inverter generators use less fuel than regular ones, but currently, this technology is expensive, which is a pity. You can easily carry most of these smaller generators around, and they are available from 700 Watts up to about 5000 watts. Though, the bigger machines cannot be carried due to the weight of the generator. At about 5000 watts, it becomes notably heavy, between 160 and 214 pounds, not the sort of load I will like to carry. The bigger machines are mounted in steel frames with wheels and foldable handles to make it easier to move around. Unfortunately, the open steel frame allows all noise to escape. An open frame exposes the hot engine to the environment to improve cooling. These generators go up to about 18,000 Watts. Their power output is great, the disadvantage being added weight and fuel consumption. These big machines are noisy, at a distance of 10 feet, you will find it hard to maintain a conversation and up close, the sound is deafening. Dual fuel generators can use gasoline or propane as a fuel. Propane has some advantages over gas because it’s stored in a sealed container. It’s, therefore, safer and more convenient than gasoline. Especially when used to power a home, the refueling and storage problems of gas are eliminated during long runs. Later on, where we discuss the storage of a generator. Another advantage of propane is that the engine is running cleaner, emitting less CO, which is good for the environment. You can read more about how to use dual fuel generators in our article : Westinghouse WGen7500DF Review | A Wonderful Dual Fuel Generator. Using a dual fuel generator on propane results in a slight loss of power, about 10%. This could mean eliminating an 800-Watt microwave from our list of items when using propane. Making a compromise is possible. You can run fewer appliances, or choose to switch off a machine before using the microwave. When using gasoline, it is easy to glance at the fuel gauge, to see how much is left in the tank. Unfortunately, you can’t see how much propane is in a cylinder. Most tanks do not have an indicator, but a common trick is to pour a glass of boiling water down the side of the cylinder. The liquid gas absorbs the heat quickly so you can feel where the liquid gas level is – it will be colder up to the level where the gas is at. This is not very accurate, but at least it gives an indication. The most reliable method of measuring propane is by weighing the bottle with a propane scale. To deliver the 120V power, the generator is equipped with standard household receptacles to power items on a construction site or when camping. Generators usually have a well laid out panel with outlets and controls. It will provide 2 to 4 household type, 120V AC 20A single or duplex receptacles (5-20R). Some generators will have covered outlets with GFCI protection, others will only have the standard outlets with a floating neutral line. An L14-30R receptacle is provided on some generators to connect the generator to the house wiring. It accommodates the 120V and 230V AC 30A wiring that’s required to connect to a house. We covered the complete installation in our How to connect a portable generator to a house using a transfer switch article. It explains in detail what a transfer switch is, how to select and install it and how to use a generator with it. One 120/240V RV outlet may be provided to connect the generator to the camper with an extension cord. It makes the RV installation safe and convenient and is, therefore, an essential consideration for RV owners. Circuit breakers protect all the circuits against overload, which are reset when the overload condition is removed. On some generators, a digital output display gives you volt, frequency and hour readings. On generators with electric start, a button or key switch will be on the console together with an engine shut off switch. It is easy to start these bigger generators this way. A recoil starter is provided as a backup when the battery is flat. It is a cord you pull hard to turn the engine and when released the recoil spring pulls it back. Most small generators only have a recoil starter. Choose the Right Generator Size? If portability is important to you, the size and weight of the generator will matter. A more powerful generator will support more tools or appliances, but it is heavier and bulkier. Some machines weigh more than 260 pounds and take up a lot of space. The weight and bulk of the generator must be considered when transporting it. It’s no use buying a machine that does not fit your vehicle or trailer. At some point, you may have to compromise when balancing the weight and size against power output. Regardless of the size considerations, I suggest that your primary concern should be to calculate your power needs. A full list of what you intend running off the generator during a power outage is likely to be long and will probably consume a lot of power – you might have to cut back on some items. If you plan to use the machine on a construction site or business, you should consider the load of the tools that you intend using. Running Watts, some use the term rated power, refers to the maximum continuous power a generator can supply. The starting Wattage is the most the generator can deliver and then only for a short while before it overheats. Starting Wattage is a buffer that provides extra power for appliances and tools that need it when starting up. Of these, the HVAC, heat pump and refrigerators seem to use the highest starting power. It’s because these machines usually start with a load that the generator must overcome. When calculating the size of your generator, you add the startup current of the various devices you wish to run concurrently. The final sum determines the running watts rating the generator must have. The startup watts are determined by the highest reading on your list. Both numbers must be considered and be within the capabilities of the chosen generator. On their website, Yamaha offers an extensive guideline that you can use to calculate your real power needs. I recommend using their generator calculator to help you determine the right size generator for you. What kind of generator do I need to power my home? When using a generator to power your home, it must be fitted with a receptacle that will accept the patch cord that connects to the house. I strongly recommend installing a transfer switch to the house wiring. It’s a legal requirement in most regions, and it makes the use of a generator easy and safe. You will have only one cord, from the generator to the house, that’s all. An L14-30R or L14-50R receptacle is required on the generator and a power inlet box that’s mounted to the outside of a wall near the chosen generator site. It should be a PB30 30-Amp NEMA 3R power inlet box for generators up to 7,500 running Watts. Generators up to 12,500 running Watts use a PB50 50-Amp NEMA 3R power inlet box. A transfer switch provides a way to utilize generator power safely through the existing electrical wiring of the house. The house wiring supplies electrical power to all the outlets and lighting points. It means that no cords will be used inside the home. The transfer switch is a safe way to switch the power from the utility wiring to the generator output and back when power is restored. It ensures that bad connections do not happen. Check the engine oil before every use. The generator is usually running quite a distance from you, and because it runs unattended for a few hours, no one is regularly attending to it. If left operating with low oil levels for too long it can fail. Never dispose of used engine oil by discarding it into a sewer, on the ground, or into groundwater. Always use the reclamation facilities provided by the local authorities or the service dealer. The engine and the generator become extremely hot during continuous use. Especially when working hard. Never cover the machine while in use and always ensure that there is ample airflow around it. The air filter on a generator is quite small, and the air intake is near the ground. It’s at the height where most dust is carried around by the wind. It’s therefore vital that it is cleaned out and replaced, as recommended in the handbook. The spark plug and the spark arrestor in the muffler must be checked and cleaned at regular intervals to ensure that they function correctly. After a set period of at most a year, the generator should be serviced by an authorized dealer. Setting the valve clearances is one of the primary tasks they perform, and they will attend to the carburetor. If your machine is fitted with GFCI outlets, we recommend that you test the functioning of the trip switch by pushing the test button on the receptacle. The reset button should pop out, you then reset it with this button. If it’s not functioning, the service dealer must replace it. The battery in generators that have an electric start facility must be charged from time to time. You can do this by running the generator for a few minutes, once every 3 months. Using a slow charge from a battery charger is another solution that will take up less of your time. Instructions provided in the manual will make it clear how often and how this should be done. The generator needs a dedicated space where it can be stored away from harm. Keep it clean, dry, and stored away from vermin that will gnaw on the wires. Some generators have a switch that disconnects the battery during storage so that the generator does not draw power from it. If a switch is not available, you disconnect the negative lead from the battery pole. The user manual will have clear instructions on this procedure. When the battery is disconnected, it’s best to keep it on a maintenance charge. Another area of concern is the gas that’s left over in the tank and carburetor. Gas does not last long when stored, heat, oxygen, and humidity influence the fuel’s condition. If left exposed to the air, the fuel starts to gum up. Especially when left in the tank of the generator. The gumming up creates fuel starvation when you use it again, and the engine can even fail to start. Most manufacturers recommend that you drain the gasoline from the tank and store it away in a sealed, airtight container. Next, you run the generator until the carburetor runs dry and the engine stops. Finally, you close the fuel shutoff valve. Using propane offers the advantage that the generator can be stored indefinitely without any special fuel line precautions. When running only on propane, the gas fuel line of the generators will not gum up, very convenient during storage. Remove the spark plug and place about half a fluid ounce of oil down the spark plug opening. Hold a clean rag over the spark plug opening; slowly pull on the recoil cord handle to turn the engine over several times. This action will distribute the oil and protect the cylinder wall from corrosion during storage. Remember to replace the spark plug before storing it. Before you start the generator, place it outside, at least 10 feet from your home, more if your cord allows it. Place the generator with the exhaust pointing away from open windows and doors. The surface where you place the generator must be solid and level. Because you should always operate the generator on a dry surface, I recommend that you prepare an area that is elevated above ground level with good drainage. To prevent exhaust fumes entering the building, make sure it is not near any windows, doors, and vents. To avoid a fire hazard, be sure that combustible materials are not close to the generator. Operating the generator on a surface with dry leaves, sand or grass clippings, can cause debris to be sucked in by the generator, blocking cooling vents and the air intake system. Most power outages will happen when the weather is at its worst. A weatherproof cover that’s portable and storm proof can be fitted to a generator to protect it under these conditions. We recommend the all-weather canopies by GenTent. To ensure no loads are connected to the generator, unplug any electrical extension cords that are plugged into the control panel receptacles. Appliances powered off the generator during the brief start-up period will be damaged by the unstable state of the generator. Before starting the generator, always check the level of the engine oil and gasoline in the fuel tank. It is not safe to add gas to the fuel tank when the generator is running. You must stop it and allow it to cool. It’s therefore wise to start with a full tank to ensure maximum runtime. For the same reason, you should make sure the engine oil is at the correct level. The only safe way to refuel the generator is when it is cool to the touch. If you happen to spill some fuel on a hot engine, it will become a highly explosive gas. Before you remove the fuel cap, clean the area around it so debris will not enter the tank. When adding gas to the fuel tank, be careful not to overfill the tank. The gas level should not be higher than the filler neck. Always ensure that you replace the fuel cap correctly by rotating it clockwise until you hear a click. How do you start the generator from cold? A generator with an automatic choke must have a charged battery connected to enable the auto choke to work. Generators with a manual choke sometimes present a problem when using the choke for too long or not at all. Please read your manual to find out how your generator choke is used. Make sure that the circuit breakers are not tripped, and then move the manual fuel shut off valve to the ON position. 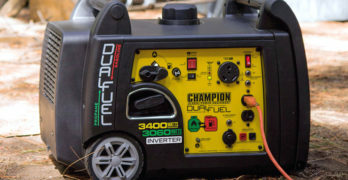 Some generators have an automatic fuel valve, for these, the battery must be charged and connected. When a choke is not used properly, the engine will fail to start in cold conditions. When you are satisfied that everything is in order, make sure the engine control switch is in the RUN position. The generator can now be started with its electric start switch. If the battery is still strong enough to operate the auto choke, but it does not have enough reserve to start the engine, the engine must be started manually. If an automatic choke is fitted and the battery is completely flat or disconnected, the engine will not start. Machines with a manual choke will still start though. The same sequence is followed. Make sure the circuit breakers are set, that the fuel shut off valve is in the ON position and the engine control switch into the RUN position. Firmly grasp and pull the recoil handle slowly until you feel increased resistance from the engine. At this point, apply a rapid pull while pulling up and slightly away from the generator. Do not connect the generator cord before the generator is running smoothly. When the generator starts, wait for it to run at its regular operating speed for a few minutes and listen for an even tone. Now it’s time to connect the generator extension cord to the generator by inserting it into the receptacle and giving it a gentle clockwise turn. At the other end, connect the extension cord to the home inlet box using the same technique. Move inside and use the transfer switch to transfer the circuits one by one. Listen to the generator tone to determine if it is okay with the load. If you do not use a transfer switch, you connect the devices to the 115V outlets of the generator. When using extension cords that have four outlets follow the manufacturer’s guidelines to ensure that loads are properly balanced. With unbalanced loads, the generator will overheat and vibrate a lot. If the generator sounds like it could run but fails and the battery has sufficient charge, it is likely that the engine is not getting fuel. Ensure that the fuel shutoff valve is in the ON position and that there’s gas in the tank. Next, you should ensure that the fuel flow is not obstructed. The only way to do that is to inspect and clean all fuel delivery passages. However, there is a quick remedy for many of these situations. You should keep a can of starter fluid handy; it must have a long spout that will reach into the carburetor. When the machine fails to start, remove the air cleaner and open the choke mechanism so you can reach into the throat of the carburetor. Use the can of starter fluid and spray a short burst into the carb, close the choke and start the generator. It should start immediately. A second spray and start attempt may be necessary. Remember to replace the air cleaner. Another possibility is that the engine is not getting enough air due to a dirty air filter. Check the air filter, it may need to be cleaned. If the generator has a low oil level shut down switch, it may be preventing the unit from starting. On most models, an indicator light will confirm the problem. If one is not fitted, check the oil level at the filler. If you have determined that the engine has fuel and air, but it still fails to start, it is likely that there is no spark. Ensure that the spark plug wiring makes good contact with the spark plug tip. If this seems fine, the spark plug can be faulty, and you’ll have to remove and check the spark plug. Replace it if it’s damaged. Another problem could be a dirty or plugged spark arrestor, which must then be cleaned. If you tried all of the above and fresh fuel is reaching the carburetor, the generator most likely has a fault. You will have to take it to your nearest authorized service dealer. How is a Generator grounded? The National Electric Code (NEC), as well as many local electrical codes, require the generator to be connected to earth ground. Typically, this is when you use a transfer switch with a switched neutral to provide backup power to your house. On most generators, there’s a permanent conductor between the generator and the frame, which the electrician can remove if necessary. I recommend that a licensed electrician determine if a grounding rod is needed. If a ground rod is required, connect the ground terminal on the control panel to earth ground using copper wire (minimum 10 AWG). This will prevent shock due to faulty appliances. Plugging the generator into a dryer outlet is dangerous. It will energize the whole house, including the water heater, sump pump, heating systems, etc. The load could be more than the generator can provide. It is also possible that the utility line can be energized and potentially harm a linesman trying to repair the brownout. The safest way to connect a generator to the house wiring is through a transfer switch. The transfer switch will remove any possibility power being fed into the grid by disconnecting the house from it. The generator is then safely connected to the house wiring. No! Keep it dry at all times, this is not how you use a generator. Never wash it with a power washer or garden hose. The generator outputs are protected against overloads, but moisture will not overload the generator. A generator that is CFGI equipped may trip when wet but not all generators will. A wet, running generator is a potential shock hazard. Even though the generator is doing its work outside it must be kept dry. It must be protected against rain, snow, and all severe weather. Snow must not be able to pile up around the generator. I recommend that you cover a generator with a GenTent and install a pitched roof over the generator workplace to keep snow from covering the unit. I’ve read lots of posts on the web explaining how to build a unique shed and suggestions to place the generator on the porch or in the garage. It is potentially dangerous, CO2 (carbon dioxide) and CO (Carbon monoxide) are some of the by-products of fuel combustion. These gasses can be lethal. CO2 is heavier than air, and when able to accumulate and replace the air in a confined space, it will suffocate you. Carbon monoxide is very dangerous and replaces the oxygen in your blood. Carbon monoxide is slightly lighter than air and diffuses evenly throughout the room. Placing the generator near the big doors of a garage with the muffler pointing outward should be safe. You can also plug a big fan into the generator and use it facing the generator to blow the engine gasses outside. Placing the generator against the back wall of the garage is dangerous because the gasses will be trapped and should never be attempted. When reverting to this kind of makeshift shelter, I strongly recommend using a Carbon Monoxide warning device in the garage, the room closest to the generator and possibly other living areas. Also, fit one inside the RV, these CO warning devices are inexpensive, freely available and don’t need specialized installation. Another important safety issue is to make sure that small children do not play near the hot engine. They must know about the dangers of these machines, like any other. In fact, it’s best to teach all family members how to use a generator safely.